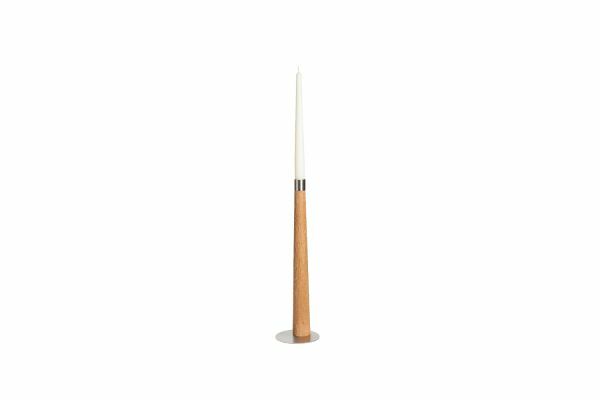 A slim high candle holder of solid oak which is carefully made by hand by a master craftsman. Stability is ensured by a magnet in the lower part of the candle holder, thus allowing a solid position on the metal plate which is enclosed. The bottom part of the metal plate is enhanced with a felt tissue cover to avoid scratching and additional stability. A candle holder making a clear design statement. Weiterführende Links zu "Magneto Kerzenleuchter klein"
Kundenbewertungen für "Magneto Kerzenleuchter klein"